Rose Hanbury, the Marchioness of Cholmondeley relationship with the Duchess of Cambridge has strained, Kate views her as "rural rival." Kate Middleton does not want Rose Hanbury anywhere near her family as she views her long-term best friend as a "rural rival" now, reports said. Rose Hanbury, the Marchioness of Cholmondeley's relationship with the Duchess of Cambridge has strained, according to some royal insiders, who said they were stunned when Kate Middleton has also commanded her husband to "phase her out," reported The Sun quoting these insiders. "It is well known that Kate and Rose have had a terrible falling out. They used to be close but that is not the case anymore," the source revealed to The Sun. 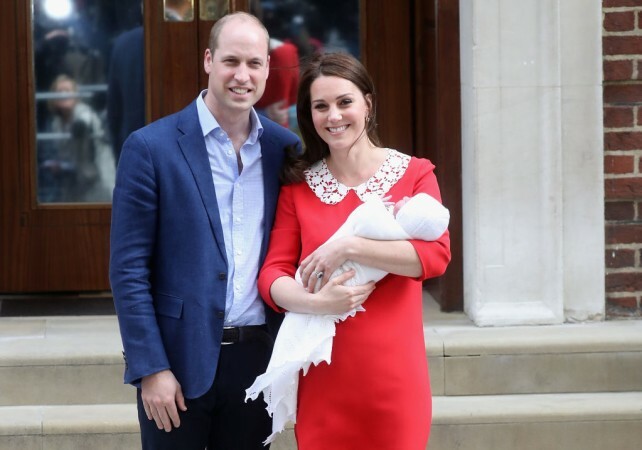 Prince William tried to pacify the situation but the Duchess of Cambridge has refused to budge, they said. Both Kate Middleton and Rose Hanbury live three and a half miles apart and the recent fall out has been culminating ever since the Duke and Duchess of Cambridge moved to Anmer Hall, which was gifted by the Queen. Both the families have been known to be close to each other. Rose Hanbury and her husband, David Rocksavage live at the 106- room Houghton Hall. Their twin kids, Alexander, Earl of Rocksavage and Oliver, Lord Cholmondeley, have been playmates of Prince George, and daughter Lady Iris. The couple has connections in the world of showbiz and politics too. Rose first grabbed headlines when she posed with then Prime Minister, Tony Blair in 2005, wearing just a pink bikini. Kate Middleton and Prince William have also been to Houghton Hall when they attended the black-tie gala event. Both the families have been quite regular at each other's house and on occasions too. Rose's relationship with the royal family goes back to 1947, when her paternal grandmother, Lady Rose Lambert was a bridesmaid at the Queen's wedding to Prince Philip in 1947. Rose's husband David, apparently, inherited an estimated 112 million pound estate 27 years ago, which included the Cholmondeley Castle in Cheshire. "But Kate has been clear that she doesn't want to see them anymore and wants William to phase them out, despite their social status," the source added. This will be the second feud that Kate Middleton is apparently having currently. The first one is reportedly with her sister-in-law, Meghan Markle.